Lâu quá mình không có viết cái series này, hôm nay – và năm mới – viết lại để lấy hên được đi nhiều nơi năm nay và những năm sau. Có lẽ trong mỗi người, ai cũng có 1 cái list (danh sách) những nơi mà mình muốn đi, muốn ghé thăm 1 lần trong cuộc đời này. Tôi thì hơi tham lam chút, tôi có 100 nơi tôi muốn đi. 🙂 Nói thì nói vậy thôi, cứ nếu tôi đi được 25% là tôi thoả mãn rồi. This is a series of 100 places to visit before I die. 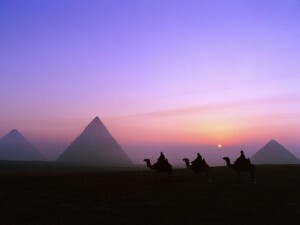 My next place is The Great Pyramid of Giza in Egypt. Whenever I am thinking of Egypt, it reminds me of my professor and advisor in college. He’s from Egypt and has wanted to take my friend and I back to his homeland to see all the wonderful things that Egypt has to offer. But life is so unpredictable, and he left this earth to early, only in his 30’s. That’s life, and life ain’t fair! One of these days, I will visit his homeland and reminisce the time when he talked about Egypt and its wonderful place. This is a series of 100 places to visit before I die. 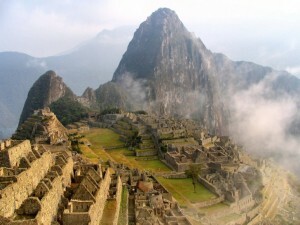 My fifth place is Machu Picchu in Peru. It’s ancient civilization. It’s mysterious. It’s on top of the mountain. It’s beautiful. And it’s a place I must visit, otherwise I will regret in 6 feet under. This is a series of 100 places to visit before I die. 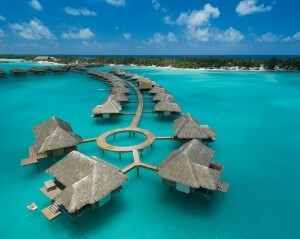 My fourth place is Bora Bora and neighboring islands in French Polynesia. This is a special place reserved for honeymoon only! And it’s worth every pennies for the trip. It’s heaven on earth. This is a series of 100 places to visit before I die. 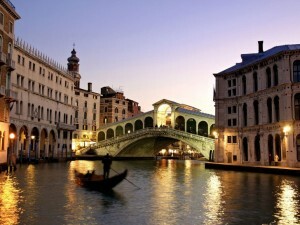 My third place is Venice, Italy. Words can’t describe this place!